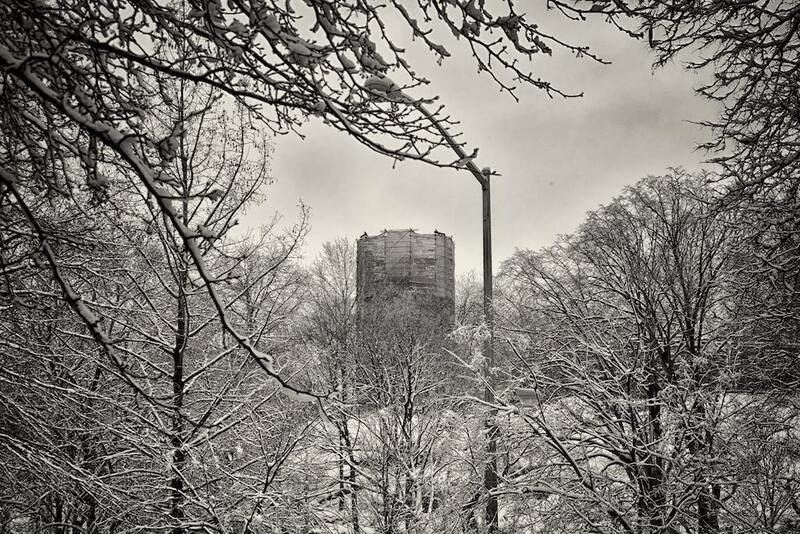 With snow on the trees and icy road ways the tower sits surrounded by scaffolding and a mesh curtain. Crates that the individual pieces of the tower will be moved in are ready and clearly visible in the staging area at the base of Mount Morris. The dismantling will begin as soon as the temperatures warm up and the ice melts.